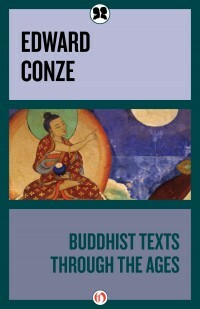 Eberhart (Edward) Julius Dietrich Conze (1904 – September 24, 1979) was an English scholar and translator who was famous for his translations of Buddhist texts, and particularly his 1951 book Buddhism. It is significant that as a scholar of Buddhism he also tried to practice it, especially meditation. He taught at the University of London and the University of Oxford. He lived in Oxford, England until his death in 1979.